Ireland looks likely to continue cash raising drive as low interest rates persist. 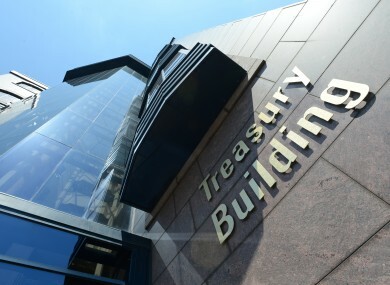 IRELAND HAS MADE another visit to the international money markets, with the National Treasury Management Agency (NTMA) raising €500m in short term cash this morning. The treasury bills, or T-bills, will be repaid after three months. The indicative premium on the payback is around 0.20 per cent, although this is calculated as if the money were to be repaid after a year. The actual interest cost will be less than this. The short term money raised this morning is the latest in a series of fundraising exercises that have been completed since Ireland first returned to the short term money markets in July 2012. The yield on the short term bonds has fallen to its current level from 1.80 per cent at the first auction. Demand for the bonds amounted to €1.902bn in bids lodged, some 3.8 times the amount on offer. This mornings fundraising is separate from a target of around €8bn that the NTMA has set to raise from the markets in long term money this year. Those funds will only be repaid after ten years. The auctions are usually held on the third Thursday of the month for around €500m. Targets for the auctions can rise as high as €1bn, but it is thought that the NTMA will restrict their ambitions to sales of €500m for the forseeable future. Email “NTMA grabs €500m from markets”. Feedback on “NTMA grabs €500m from markets”.